Used in residential and a few commercial applications, polyester has good color clarity, colorfastness, and resistance to water-soluble stains. All of Mohawk's staple polyester yarn comes from our state-of-the-art plastic bottle recycling facility. This food-grade PET Polyester fiber might be considered to be better quality than carpet-grade polyester fiber. 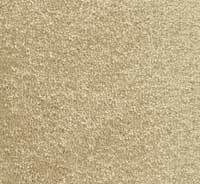 SmartStrand carpet is made from DuPont Sorona renewably resource polymer. This marks the first time that a luxuriously soft carpet offers durability and stain protection, while also making less of an environmental impact. The superior stain resistance of SmartStrand carpet is engineered into the fiber and will never wear or wash off. Fiber-forming substance of any long-chain, synthetic polyamide having recurring amide groups as an integral part of the polymer chain.First used in 1959 in carpet. Offered as BCF or staple. Used in residential and commercial applications. Produced as a solution-dyed fiber or white yarn to-be-dyed. Accounts for 65% of all face fibers in carpet. Durable, resilient Abrasion-resistant. Versatile in coloration possibilities Favorably priced. Must be treated to be stain and soil resistant. Made from terephthalic acid and ethylene glycol. Offered primarily as a staple product, although some BCF in being produced. Used in residential and commercial applications. 100% of Mohawk's Staple Polyester is PET Polyester, manufactured from recycled plastic bottles. Color clarity Colorfastness Resistant to water-soluble stains. Noted for luxurious "hand". Fiber-forming substance of any long-chain synthetic polymer composed of at least 85%, by weight, of ethylene, propylene, or other olefin units. Offered primarily as BCF with some staple product available. Primarily sold as solution-dyed or pre-dyed fiber. Can be engineered for outdoor applications. Resists fading. Inherently stain resistant. Limited color selection. Generates low levels of static electricity. Chemical, moisture, and stain resistant. Favorably priced. Natural fiber. Offered as staple yarn.